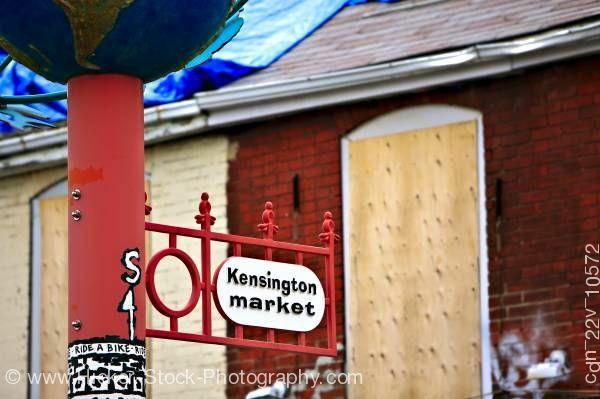 Stock photo of the street sign for Kensington Market in downtown Toronto, Ontario, Canada. Sreet Sign at Kensington Market in downtown Toronto, Ontario. This stock photo gives you a close up view of the intricate iron work on this boldly painted signpost at Kensington Market in downtown Toronto. The red, white, and black of the sign and pole stands out before two boarded up buildings that have had a bit of graffiti added to them.